We believe in inclusive play. That means Bravery welcomes children of ALL abilities. Whether your kid is somewhere on the spectrum of developmental delays (Autism, ADHD, CP, etc. ), or your child is developing typically, we believe “normal” is an outdated term, that all kids are unique and they grow at their own pace. We help parents keep that in mind and use this knowledge as a tool to lead their child through all their social interactions. Bravery’s design is based on four main areas of child development* Cognition, Social interaction, Communication and Physical Activity. We’ve got a Sensory Room, a Reading/Quiet room, Event Room, Fine and Gross Motor Skills Area, Toddler Area, and Imaginative Play Center. 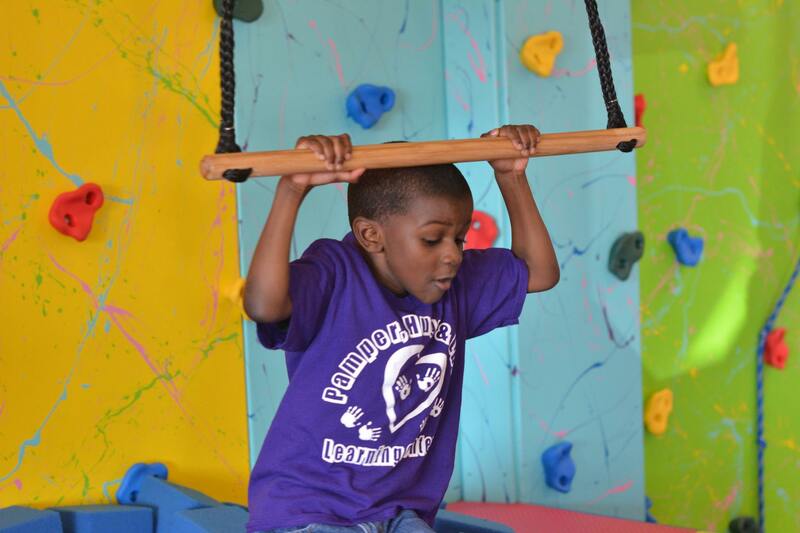 Our motto is “play with a purpose.” We try to maintain an environment that is great for children both physically and mentally aged 0-10 years old. We are dedicated to maintaining a safe environment for all children to play. But sometimes kids get overstimulated or start displaying disruptive behavior. We understand, and we have several remedies to address it. Visit the Sensory Room – a dark room with a bubble tube, fiber optic lights, hammock swing, sensory tent, and more. A change of environment that’s great for redirecting energy. Calm Down in the Quiet Room – a private room with sensory seating options and books, providing minimal distractions for the perfect cool down time. Adjust to the Environment – with noise reducing headphones, weighted vests, fidget toys, chewy tubes, sensory cups and other adaptive equipment for use while playing in the gym. Rain Check – for when you have to cut play time short because none of the above methods help or the gym becomes unsafe for any child. We will promptly issue a rain check at any time we deem it warranted. Along with our innovative Bravery Kids Gym equipment, we offer a wide selection of classes, workshops and themed special events for children and adults including Bubble Pop Parties, Pops Fit Bootcamp, Storytime, Homeschool Hangout, Exceptional Kids and Teen Night, Sensory Water Play, Fun with Mascots, Arts & Crafts, Yoga Magic for All, and lectures by specialists in the field. Or hold your next Birthday Party or Field Trip at Bravery! 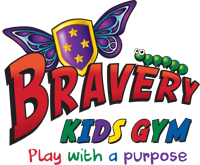 These are some of the many advantages to visiting and joining Bravery Gym. But the biggest one is that it is absolute FUN for your child! Every trip to Bravery Gym is a chance for parents and caregivers to assess developmental milestones, complement traditional therapies, and build a social network for adults, children, families and supporting organizations. We switch the focus from inabilities and handicaps to building on strengths and capabilities. We shine a light on areas in need of improving, increasing the opportunity for early intervention and paving the way for longer term developmental success.